Now on Joy News- Time for Christmas Concerts in Paris! If you plan to visit Paris in the coming days, or already are there, this is for you! In addition to all Christmas markets you can enjoy at Avenue des Champs-Élysées, Montmartre and St.Germain; time for christmas concerts has come! 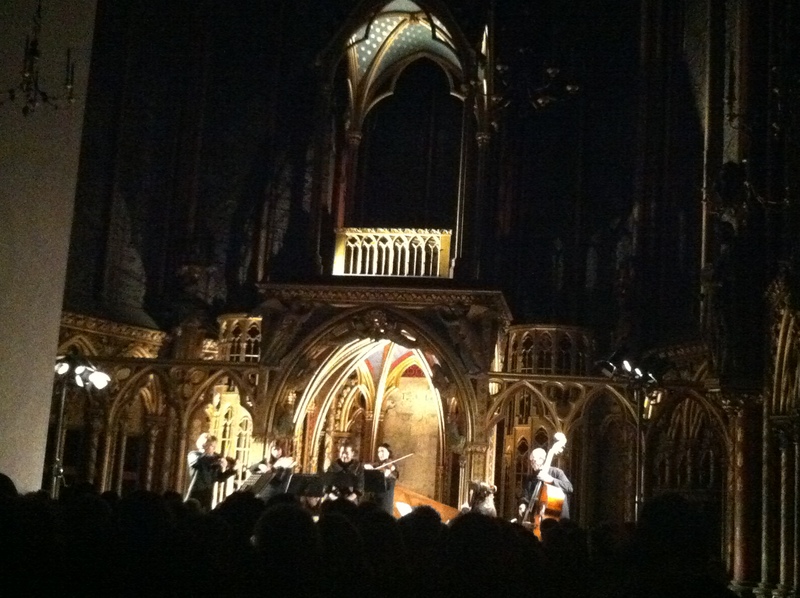 You should definitely experience the acoustic ambiance of La Sainte Chapelle via Christmas concerts, below is a snapshot of my Joie de Vivre at La Sainte Chapelle in December 2012 – enjoying arias with great acoustic! and why not beautify your concert night by enjoying great wines before / after in lovely winebars of Paris, for example my favorite – Le Garde Robe! Below is the practical information you might need provided by “Paris by Mouth” ! This entry was posted in Music joy, Paris and tagged #le garde robe, #winebar, Christmas market, Sainte-Chapelle. Bookmark the permalink.